Senapati Bapat Road in Pune is an emerging hub for investors, thanks to its outstanding location and infrastructure. Over the last few decades, a number of residential projects have come up in the area. From schools to hospitals and markets to places of entertainment, Senapati Bapat Road hosts a wide array of amenities. Investors can cherish the aristocracy in modern spaces crafted to suit the comfort and class. Nestled among green patches of natural elements, the flats in Senapati Bapat Road promise the best specimens of quality lifestyle. People looking for the high-end property have all the good reasons to invest here. Investors looking for luxurious apartments can find the right opportunity to make the best of their money. The projects in Senapati Bapat Road offer a number of apartments in various configurations. 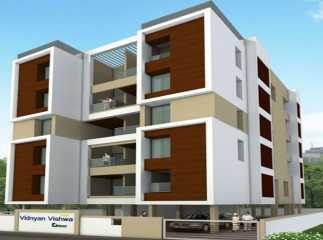 There are a number of villas in Senapati Bapat Road which are affordably priced. The property prices in the area are expected to see further gains in the near future that make it an excellent time to invest in the area. The plots in Senapati Bapat Road provide an excellent investment opportunity. The area will see excellent gains over the next few years. The area is seeing the development of a number of civic and social amenities including shopping complexes, educational institutions, hospitals, banks, etc. There are also a number of important places near Senapati Bapat Road including Darshan Museum, Neelkantheswar Temple, Tribal Cultural Museum, National War Museum, Rajgad Fort, Peshwa Udyan, and much more. 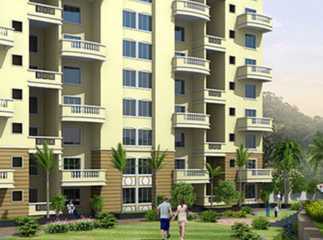 A number of developers have launched projects in the area which come with all facilities and amenities for home buyers. There are swimming pools, gym, play area for children, and clubhouse. Besides, people can have a sound time at the meditation centre. The new projects in the area come with excellent security, with fire fighting equipment, open garden space, lift, and car parking spaces. An example of high-end property in Senapati Bapat Road is the Pride Purple Panorama undertaken by Pride Purple Group, which is one of the most eminent real-estate projects in the area. Considering the planning and structure, you will come across some of the best specimens of craftsmanship in the apartments in Senapati Bapat Road. Free from the din of cities, yet close enough to enjoy all modern facilities to pamper the housing aspirations, the apartments can be customised as per the needs. The area is well-connected via a well-established road and rail network. Commuting is never an issue on Senapati Bapat Road. With all necessary infrastructures around, you can enjoy the bliss of nature as well as quality lifestyle. Well, if you are interested in acquiring properties in Senapati Bapat Road, this is the right time to invest. The property prices on the Senapati Bapat Road are expected to see an increase over the next few years.